I end the week with slightly different pens and inks from when I started on Monday – the ink all up in my Kakuno feed just annoyed me too much, and if I was gonna flush that… Well, in for a penny, in for a pound haha. The inks: Pilot Metropolitan = Iroshizuku Yama-Budo. Pilot Kakuno = Diamine Graphite. Lamy Apple Green = Iroshizuku Kon-Peki. 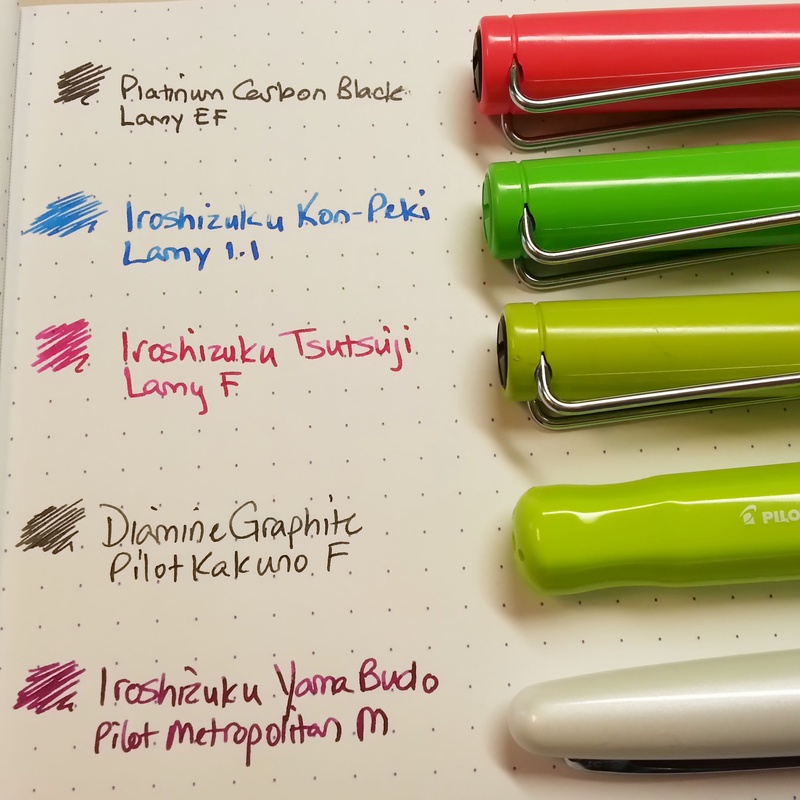 Lamy Lime = Iroshizuku Tsutsuji. 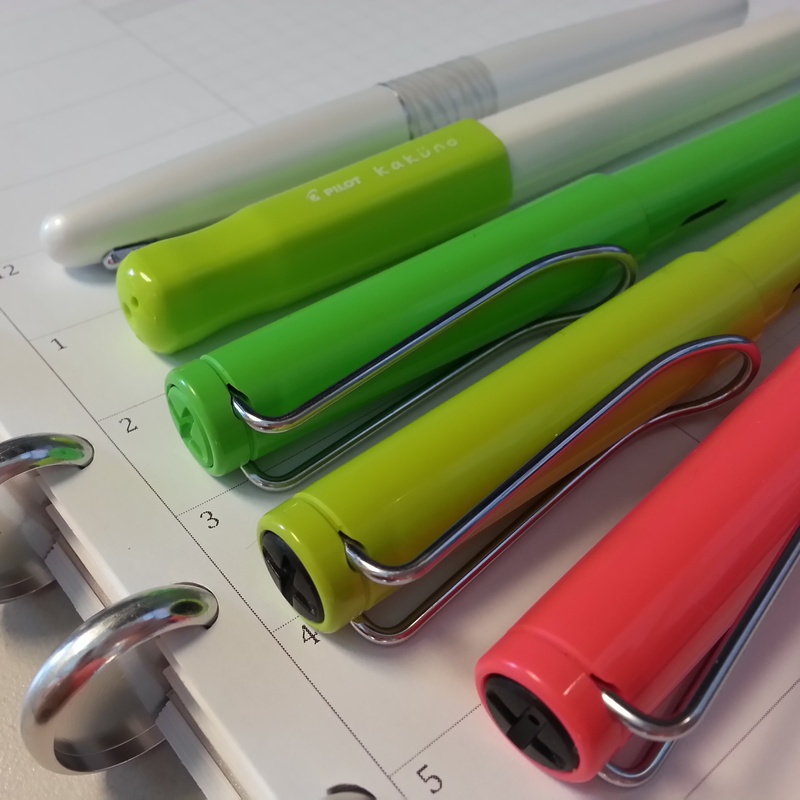 Lamy Neon Coral = Platinum Carbon Black. The inks in each pen. It’s a good thing the ink samples take me awhile to go through, cause I’d have to buy all 3 of the Iroshizuku inks otherwise!